Google briefly demoed a web-based music store after mentioning acquiring Simplify Media at I/O 2010, but then remained mute without providing any insights for nearly a year. Things changed when the long-awaited service made an appearance at the I/O 2011 keynote this morning. Directly taking on the Amazon CloudPlayer, Google Music will let users store their music in the cloud for access from any web browser or mobile device. This is especially great for those that dread plugging in a micro USB cable to sync content over each time they buy a new album since the service will ensure that your library is up to date on all your devices at all times. For those taking a step back in fear of complication, Google Music is actually rather simple. Users have to install a small program on their Mac or Windows machine which will automatically upload your entire collection to the cloud. When away from your computer, you can visit the Google Music website from any web browser and sign in with your normal credentials. 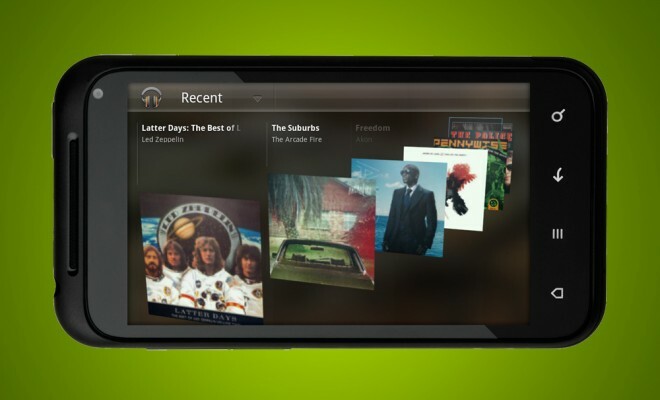 Even if across the country, you can playback any song from your library when you have access to the internet. Google also makes this service available for Android smart phones and tablets with support for offline mode when in areas without cellular coverage. The app even intelligently caches the music you listen to the most. While in beta, Google will let users store up to 20,000 songs in the cloud for free. Since streaming multimedia is quite expensive, it is likely that they will begin charging when the product is ready for mass consumption. Keeping in mind that Google has a long history of leaving the ‘beta’ tag on products, I would not worry about having to deal with fees anytime soon. For those looking to give Google Music a test drive, I should note that the service is only available in the United States on an invite-only basis. Those lucky enough to attend the I/O 2011 conference already have access. I also had a chance to sit in on a Q&A session with Google executives who revealed some interesting details about the music service following the keynote. 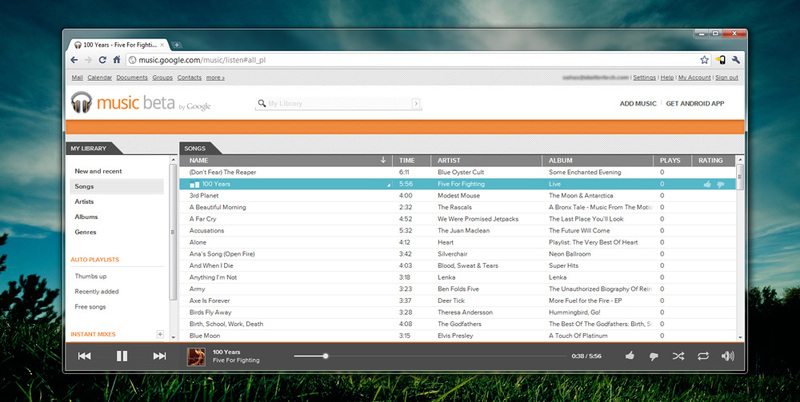 I was glad to hear that Google Music will stream music to devices at up to 320 kbps quality. This is great news considering that other music services such as Pandora still limit quality to 192 kbps. Another Google product manager also clarified that the company will work with record labels if asked to identify whether the music you upload to the cloud was legal acquired. While it does not sound as though they will check for illegally downloaded tracks, it is possible that they might at some point down the road. Today’s announcement is quite exciting, but it still raises some concerns. With many cellular carriers enforcing monthly data caps and charging by the megabyte, subscribers may soon run into overage territory incurring high fees sooner than later. Uploading 20,000 songs to the cloud is not an easy task as another reporter pointed out. Upload speeds on residential broadband plans are quite slow. In addition, cable providers such as Comcast also cap data transfers to around 250 GB. If each of your songs were around 10 MB, reaching the cloud storage limit would equate to almost 195 GB of transferred data. It would be neat if Google rather choose to match the audio in your library and automatically provide access to a digital copy already in their locker.